Boatman Marking offers a large variety of metallized stand up pouches that come in various sizes and colors to fit your packaging needs. Often known as "Mylar," metallized materials are becoming more popular in flexible packaging because of their above average barrier qualities and lower costs. For products that require a better barrier than poly, but not quite as good as foil, metallized bags and pouches are the perfect fit. 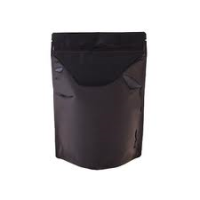 This Metallized Coffee Stand Up Pouch comes without a resealable zipper and is 1oz. in size. It's dimensions are 3.125" (W) x 2" (G) x 5.125" (H). 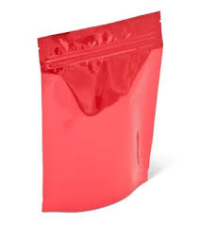 Get your Metallized Stand Up Pouches and other packaging needs at Boatman Marking. Mylar Bags - Stand Up Metallized Mylar Pouch Natural Kraft Paper No Zip 1oz. Boatman Marking offers a large variety of metallized stand up pouches that come in various sizes and colors to fit your packaging needs. Often known as "Mylar," metallized materials are becoming more popular in flexible packaging because of their above average barrier qualities and lower costs. For products that require a better barrier than poly, but not quite as good as foil, metallized bags and pouches are the perfect fit. 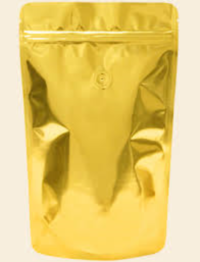 This Metallized Coffee Stand Up Pouch comes with a resealable zipper and is 1oz. in size. It's dimensions are 3.125" (W) x 2" (G) x 5.125" (H). Get your Metallized Stand Up Pouches and other packaging needs at Boatman Marking. Boatman Marking offers a large variety of metallized stand up pouches that come in various sizes and colors to fit your packaging needs. Often known as "Mylar," metallized materials are becoming more popular in flexible packaging because of their above average barrier qualities and lower costs. For products that require a better barrier than poly, but not quite as good as foil, metallized bags and pouches are the perfect fit. 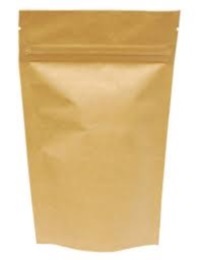 These Metallized Coffee Stand Up Pouches come with a resealable zipper and are 4oz. in size. It's dimensions are 5.125" (W) x 3.125" (G) x 8.125" (H). Get your Metallized Stand Up Pouches and other packaging needs at Boatman Marking. Boatman Marking offers a large variety of metallized stand up pouches that come in various sizes and colors to fit your packaging needs. Often known as "Mylar," metallized materials are becoming more popular in flexible packaging because of their above average barrier qualities and lower costs. For products that require a better barrier than poly, but not quite as good as foil, metallized bags and pouches are the perfect fit. 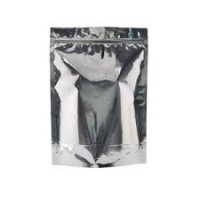 These Metallized Coffee Stand Up Pouches come with a resealable zipper and are 8oz. in size. The dimensions of these bags are 5.875" (W) x 3.5" (G) x 9" (H). Get your Metallized Stand Up Pouches and other packaging needs at Boatman Marking. Boatman Marking offers a large variety of metallized stand up pouches that come in various sizes and colors to fit your packaging needs. Often known as "Mylar," metallized materials are becoming more popular in flexible packaging because of their above average barrier qualities and lower costs. For products that require a better barrier than poly, but not quite as good as foil, metallized bags and pouches are the perfect fit. 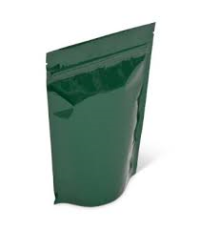 This Metallized Stand Up Coffee Pouch comes with a resealable zipper and is 2lb. in size. It's dimensions are 9" (W) x 4.75" (G) x 13.5" (H). Get your Metallized Stand Up Pouches and other packaging needs at Boatman Marking. Boatman Marking offers a large variety of metallized stand up pouches that come in various sizes and colors to fit your packaging needs. Often known as "Mylar," metallized materials are becoming more popular in flexible packaging because of their above average barrier qualities and lower costs. For products that require a better barrier than poly, but not quite as good as foil, metallized bags and pouches are the perfect fit. 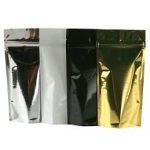 These Metallized Coffee Stand Up Pouches come with a resealable zipper and are 4lb. in size. It's dimensions are 11" (W) x 4.75" (G) x 15.375" (H). Get your Metallized Stand Up Pouches and other packaging needs at Boatman Marking.